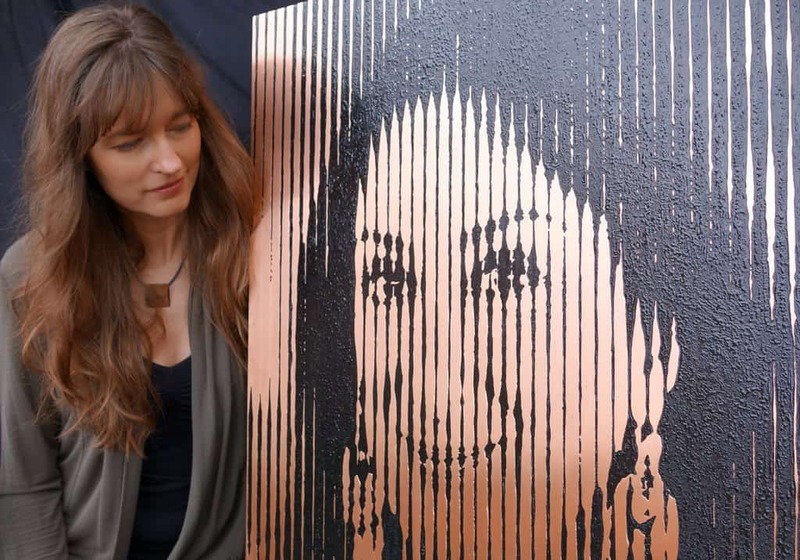 A portrait of Daphne Caruana Galizia made of etched and patinated metal was inaugurated today in the European Parliament press room a year after the Strasbourg conference room was named after the assassinated journalist. The portrait is the work of Marie Louise Kold, Danish metal artist who lives in Malmo, Sweden and in Malta. The artist together with European Parliament President Antonio Tajana and Daphne Caruana Galizia’s husband Peter and eldest son Matthew unveiled the portrait in a brief ceremony in Strasbourg this afternoon. This video by the artist demonstrates the making of the portrait. Marie Louise Kold (born in Denmark in 1974) is a metal artist who has made a name for herself internationally with her ability to turn bare metals into highly emotionally charged works of art. She etches, patinates and shapes copper, brass and bronze into unique works of art, that not only change depending on angle and light, but also slowly transform from touch and time. The mainly wall-hung works are strongly three-dimensional, not least because there are many different surface structures. Educated in archaeology, metallurgy, art and bronze casting, Marie Louise Kold has been creating metal art since the mid-1990’s. She has exhibited extensively and her art is in private collections all over the world, including in that of the Swedish Royal Court. 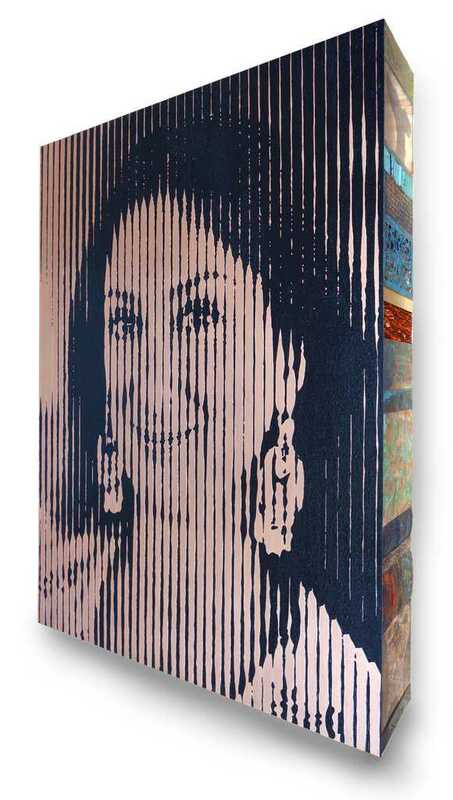 Including preparatory work, research and experimentation, creating this portrait of Daphne Caruana Galizia took a total of 470 hours. A little barrier will not stop us. A big one neither.